It’s wonky. It’s a bunch of data and names. And it will most likely save a lot of homeless people’s lives. For the past two years, program managers in San Francisco have been quietly crafting a system to closely track every homeless man, woman and child. The purpose is two-fold: to tailor housing, rehab and other services to them, but also to eliminate wasteful — and costly — duplication of efforts. The idea is that by punching in a homeless client’s name, information about every health, housing, jail and counseling program that person has ever tried will come up instantly. It would give homelessness counselors and people running shelters a complete picture of whatever didn’t work, allowing them to avoid repeating those failures and figure out the next, best step. The rollout began last month for logging individuals into what’s been dubbed the One System, and counselors hope to have the entire system up and running by early 2019. So far, more than 1,000 homeless people are logged in, putting the teams well on the way toward meeting their goal of registering 2,000 by the end of October. If all goes as planned, the city will see a drop next year in the point-in-time homeless count, which currently sits at 7,499. That drop would mean less mess in the streets, and less anguish in the lives of the people who leave them as they get routed more efficiently into housing, rehab and mental health treatment. No one is sure how much money can be saved by eliminating wasteful efforts, and calculations will be difficult since it will involve preventing money from being spent inefficiently. But everyone involved estimates the savings will be noticeable. In addition to those who became homeless after losing jobs or due to terrible luck, “people are struggling with drug addiction and mental illness, and that is a huge challenge,” she said. “This new system is important because it gives us an understanding of the big picture for what’s going on with each person. Tightly coordinated tracking systems have helped reduce the homeless counts in recent years in Salt Lake City, Chicago, Houston and other cities, and the top homeless policy manager in the U.S. believes it will work in San Francisco. Every homeless policy manager in San Francisco over the past 20 years has been frustrated by the lack of such a tracking system. As recently as 2016, a grand jury and San Francisco’s budget and legislative analyst both excoriated the city for not having one that worked. The challenge is immense: A system has to tie together information from 15 different databases involving departments like health, human services and others, and they have to be confidential enough to maintain client privacy. In the early 2000s, much of what passed for the city’s tracking system was piled into sagging cardboard boxes. In 2006, the then-director of the Community Housing Partnership supportive housing program railed to The Chronicle about not having a good way to assess the most acute needs of people on the streets. Today, that former director — Jeff Kositsky — is head of the city’s Department of Homelessness and Supportive Housing, and when he took the job two years ago creating the One System was one of his first priorities. 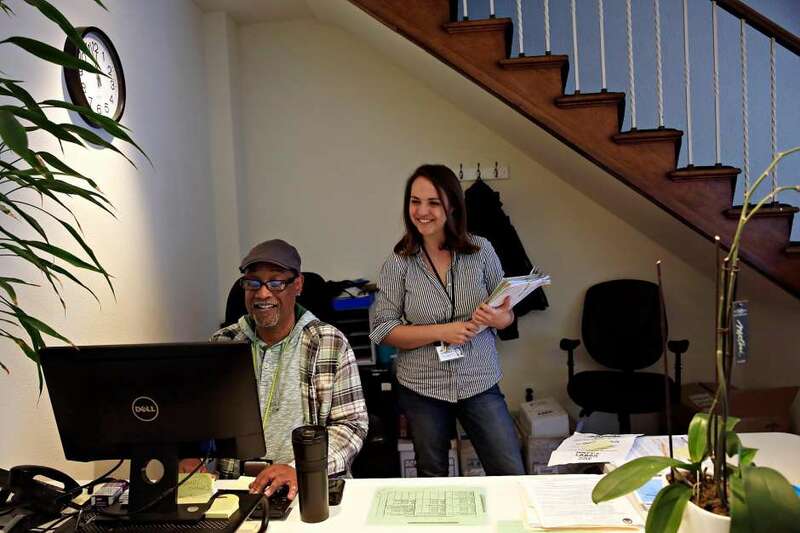 He started the system rollout for families late last year, and it has already helped cut families’ typical wait time for shelter spots from a week to about two days. Kositsky expects similar success for the individuals component. That component, the biggest element of the system, by far, includes the costly and tough-to-treat contingent of a couple thousand longtime chronically homeless people. A separate log-in specifically for youth is planned for later. The work of registering individuals is being conducted by Episcopal Community Services, and so far it is based at two walk-in offices called Access Points — one at 123 10th St., the other at 2111 Jennings St. Counselors are also registering clients at shelters and other locations. After taking down identification information, they ask 17 questions designed to assess history and needs. The questions seek to find out how much violence a person has experienced, how he or she will react to shelter environments, how many mental health services the person has used in the past five years, and so on. For people like 53-year-old James Taylor, screening could have staved off the misery that being a longtime homeless crack addict seared into him. Taylor bounced through six different drug rehabilitation programs, each not quite calibrated to what he needed, before hitting the right one nearly two years ago. That helped him into the right living situation. Today, the former Marine lives in a supportive housing complex on Treasure Island run by Swords to Plowshares for formerly homeless military veterans like himself. One of the keys for Taylor was having counselors at Swords who more intimately understood the dynamics of a despairing veteran. During the log-in process for the One System, a lot of what’s done is figuring out whether problems can be solved quickly. But, mostly, having a detailed history of past efforts and a person’s frailties will allow counselors to serve those most in need, rather than those who showed up first. For now, the emphasis is on logging people in. The more vigorous placement process happens next year once the database is sufficiently filled. That can’t happen soon enough for Mickey May. May, 34, came to the 10th Street Access Point the other day to get logged in, and as she left with her pit bull, Sassy, she shivered at the prospect of bedding down that night at a nearby gas station.